Enjoy our fun science facts for kids. Learn interesting earth facts, amazing chemistry facts, cool space facts, funny facts about animals and much more. Did you know that the ears of a cricket are located on its front legs? Or that sound travels 4 times faster in water than it does through air? Science is a fascinating subject with many amazing things to learn and discover. Thankfully you've got a lot of time to research, the average human only sleeps for about 35% of the day compared to 80% for armadillos and sloths, now that's lazy! Read on to find more fun science facts and trivia while remembering that as society and technology develops so too does our understanding of science and the world around us. 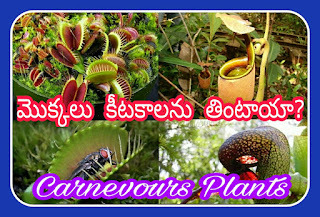 WE can upload scienfacts in physical sciences ,biological sciences,zoology, Carnivorous plant, sometimes called insectivorous plant, any plant especially adapted for capturing and digesting insects and other animals by means of ingenious pitfalls and traps. Carnivory in plants has evolved independently about six times across several families and orders. There are more than 600 known species of carnivorous plants constitute a very diverse group, in some cases having little more in common than their carnivorous habit.